The Centers for Disease Control and Prevention (CDC) recently created the Cardiovascular Health: Action Steps for Employers, a guide drawn from the CDC’s Worksite Health ScoreCard, a comprehensive tool designed to help employers assess the extent to which they have implemented evidence-based health promotion interventions in their worksites and prioritize approaches to health promotion. Employers play an integral role in helping individuals improve their cardiovascular health by creating worksites that support blood pressure control, cholesterol management, tobacco control, and nutrition and physical activity. We encourage you to use these action steps to support cardiovascular health in your own organization as well as distribute to your partners and stakeholders to help us reduce heart attacks and strokes. 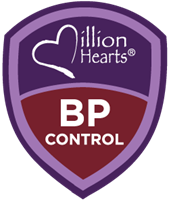 Colorado participates in the Million Hearts Initiative, an effort to prevent 1 million heart attacks and strokes over five years. You can participate too. Be one in a million - make your commitment and pledge today.